Are you trying to conserve water this summer — and dreading the prospect of a bleak, brown and brittle lawn? It is not only lack of moisture, but intense heat, that causes a lawn to “brown out” this early in the Pacific Northwest. 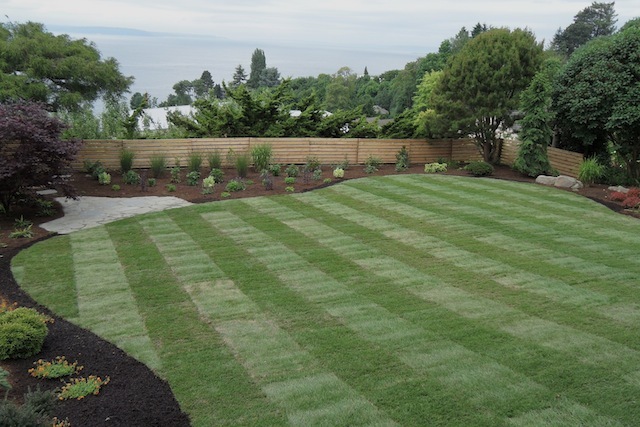 With this year’s unpredictable weather and a changing climate, it’s time to consider lawn substitutes. Don’t panic: There are some that won’t make your garden look like the Sahara Desert. Keep it simple. If you like the clean look of a lush, rolling lawn, you may want a single variety of a drought-tolerant ground cover. Ground covers don’t require much care or watering. Most need some watering until they are established, but only a fraction of the moisture required to keep a grass lawn verdant all summer. Mix it up. Use two or more varieties of ground cover and create a tapestry of color and texture. Many bloom at some point during the late spring or summer so they also offer color. 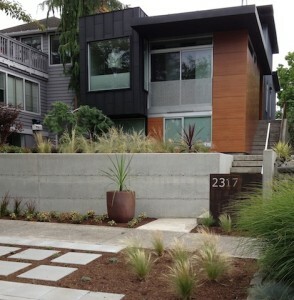 “Stepable” ground cover will tolerate foot traffic to varying degrees, but not heavy usage or usage for extended periods. If you require durability in your paths and walkways, stick with stone or pavers. “Rock out.” A natural-looking dry riverbed or stone-lined pond adds interest when planted with attractive ground cover, grasses and easy-to-maintain perennials. Theses solutions require some maintenance to keep them looking tidy, but none of the weekly mowing, edging, regular watering, fertilizing that is required to keep a lawn green and weed-free in the summer. If you want some lawn for kids, pets and summer activities, try reducing the size of the lawn and eliminate areas you do not use regularly. Remember when replanting those areas to choose plants that will fit the space long-term and that are compatible with those around it. Contact us for design consultation and to learn more about the best plants for your Pacific Northwest garden. The driest months in the Pacific Northwest are July, August, September and sometimes October. Add June to the mix this year and it’s time to get a watering plan in place — whether your garden is drought tolerant or not. Sun and heat combined will quickly erase any water reserves stored below the surface of the soil. Fine-tuning your watering techniques will not only conserve water but also will create healthier plants and extend your garden’s good looks through the summer. Some plants only need to dry out once in hot sun for it to be fatal. Get water to the bottom of the root zone. This promotes drought tolerance by encouraging roots to go deep in the soil, instead of staying on the surface where they can dry out quickly. After a few tries, you’ll know how long the water needs to run. Make sure you mulch around the plants. Use at least 2 inches of mulch. Plant densely so the sun can’t overheat exposed soil and injure the plant roots underneath. As your landscape matures and plants become well established, you’ll be able to cut back the frequency of watering. 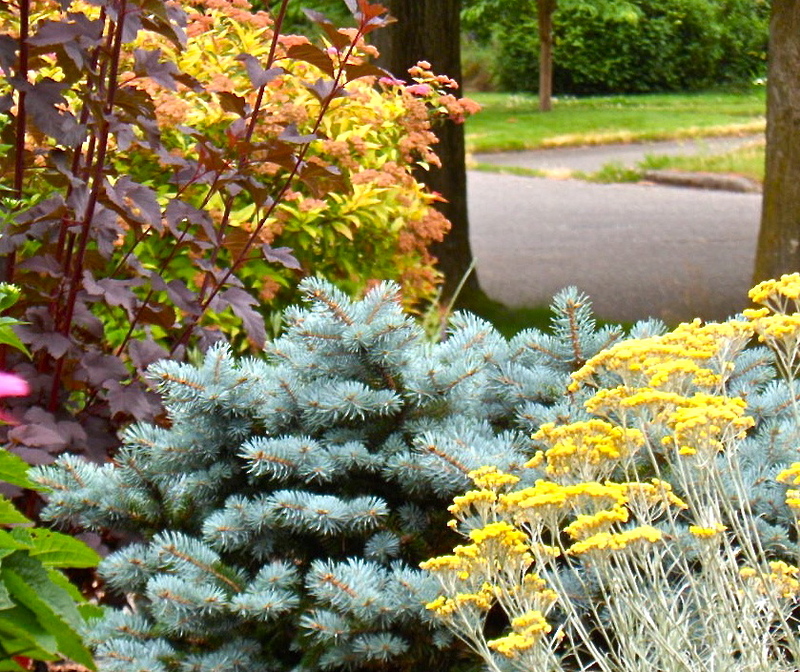 Contact us to learn about water-wise gardens and the choosing the best plant for any location. Especially this year, our typically dry July, August and September quickly erase any reserves stored below the surface of the soil. Fine-tuning watering techniques can not only conserve water but also create healthier plants. My answer is to water deeply and less frequently. This can be accomplished most easily with either a drip or soaker irrigation system. The drip system can be set to water individual plants, shrubs, or trees. The water requirements of different plants can be met by using different sized emitters, and by placing several emitters on large shrubs or trees. A soaker system will water the whole garden evenly and can be hidden underneath mulch. Hand watering is also an option, but make sure that the water is penetrating deeply. The final way to irrigate is with an old-fashioned sprinkler head. Make sure that the spray hits all areas and that you leave it on long enough to water deeply. Getting water to the bottom of the root zone promotes drought tolerance by keeping the roots deep in the soil, instead of on the surface where they can dry out quickly. Water should soak in deep enough so all roots are thoroughly wet. The first few times you water, test to see how deep it goes. After a few tries, you’ll know how long the water needs to run. Always water during the cooler part of the day to lessen evaporation. Nighttime or early morning is best. Plant densly enough so plant roots are not overheated by the sun. As your garden matures and plants become well established, you’ll be able to cut back the frequency of watering.